Santa Monica, one of the state’s most left-leaning cities, would seem to be an unlikely arena for a court battle over racial discrimination. However, in a trial this month, the city defends electing city council members “at-large” by all voters, rather than from districts. A lawsuit contends that the system discriminates against Latinos and other non-white residents. 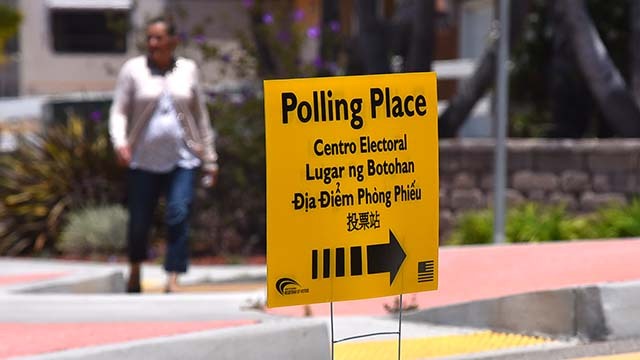 It’s the latest of many legal challenges to local governments under the California Voting Rights Act, a 2002 law that makes it easier to overturn at-large voting. Historically, at-large elections were the norm in California for nearly 150 years. However, during the late 20th century, as California’s population became much more diverse, they drew increasingly sharp criticism, particularly from activists in the rapidly increasing Latino community. At-large elections, critics said, often meant that white — and implicitly conservative — members dominated city councils, school boards and other governing bodies, even in communities with substantial non-white populations. Stockton Unified School District changed to district voting in response to a segregation lawsuit in the early 1970s. In the 1980s, the Mexican-American Legal Defense and Education Fund won a landmark legal victory overturning Watsonville’s at-large elections in a case that went all the way to the U.S. Supreme Court. As Latino representation in the state Legislature grew in the 1990s — thanks largely to term limits and court-ordered redistricting after the 1990 census — the battle over at-large elections shifted to the Capitol, culminating in passage of the California Voting Rights Act in 2002. The new law declared that “an at-large method of election may not be imposed or applied in a manner that impairs the ability of a protected class to elect candidates of its choice or its ability to influence the outcome of an election…” It also allowed lawsuits to enforce the new standard. The new law did not have instantaneous effect, as political scientists Justin Levitt and Douglas Johnson point out in a 2016 research paper. It took four years for legal challenges to the CVRA to be swept away, but after Modesto ceded a suit in 2008 — and had to pay $3 million in legal fees — the pace began to pick up. Some cities, like Santa Monica, still resisted; Palmdale, for instance, had to shell out $4.5 million in 2015. But most settled CVRA demands or suits rather than bear the heavy cost of legal battles they’d probably lose. Kevin Shenkman, a Malibu attorney, has made a profitable career out of pressing cities for change. He sends demand letters to targeted cities and collects a small fee if they readily agree to change their voting methods. 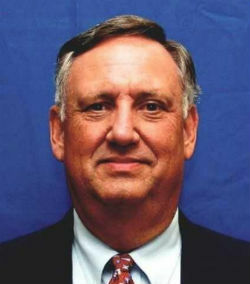 If they refuse, he sues and, as with his case against Palmdale, often collects multi-million-dollar fees. Levitt and Johnson, in updating their 2016 study this year, found that while just 29 of the state’s roughly 400 incorporated cities used district voting prior to the law’s passage, 96 now have made or are making the switch, plus 169 school districts, about 30 community college districts and more than as dozen special purpose districts. The only county that had been using at-large voting, San Mateo, has also switched. Latino members of local governing boards have increased, as sponsors of the law intended. Whether it’s brought a better level of governance remains to be seen. More diverse boards could also be more fragmented, more parochial and less responsive to overall community needs. It is, as Levitt and Johnson say, “a low-profile revolution” and like all revolutions will probably have unintended consequences, and perhaps collateral damage.